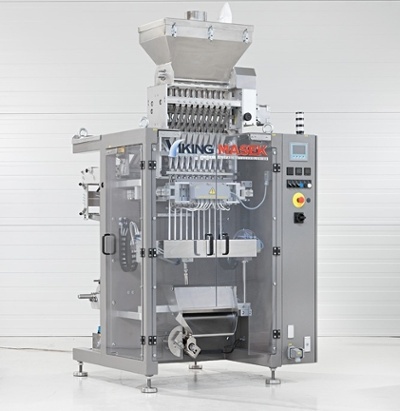 Packaging large orders of powders, liquids and gels quickly and efficiently is best done with the ST400 stick pack machine. Small portions of liquids, powders and granules are ideally packaged in stick packs thanks to their convenient size and high production speeds. 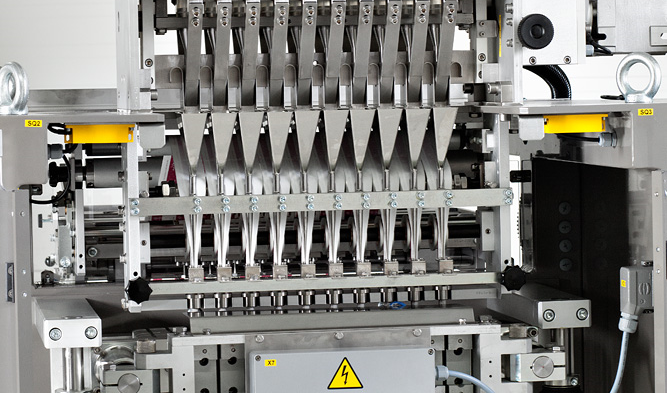 Able to run up to 70 cycles per minute on multiple lanes, this multilane packaging machine will make short work of any product run. With the ability to run ten lanes simultaneously, you can have over 700 perfect stick packs formed, filled and sealed every minute. Even the largest order can be filled in snap using Viking Masek’s ST400.